Christmas is one of the most exciting holidays for crafting! 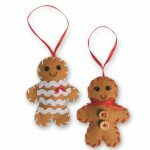 Both kids and adults can create ornaments and decorations to give to their family members and friends. We’ve put together a list of 10 Christmas Crafts you will love to make, and that will last from season to season! These ceramic trees come in a pack of 24 and are great for a group project. Decorate them in many different ways, using paint, marker, and a variety of craft supplies such as gems, trim, and glitter. They also come with the string already attached! Be prepared for when Santa comes down the chimney on Christmas night! 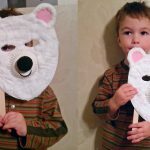 This is a cute and easy craft for kids. They can paint these wooden trays any way they’d like, and then leave milk and cookies for Santa to eat. Leave a cute gift tag too so he knows who it’s from! Make fancy Christmas trees using simple materials like craft sticks, sparkle chenile stems, and holiday colored or brightly colored trim. First, paint the craft sticks in Christmas colors, then let them dry. Glue the sticks together in a triangle (tree) shape. For the gold and green trees, we wrapped chenile stems around each side, added a foam star, and glued string or jute to the back to hang them up. You can also add fun accessories to the center of the tree, like a bell! For the red tree, we glued pieces of trim to cover the center. These can be used to decorate the house and as ornaments on the tree! Make an adorable gingerbread man using fuse beads, then add a magnet and hang it on the refrigerator. View the step by step tutorial here. These embossed holiday ornaments come in a pack of 12, with 3 each of the star, Christmas tree, gingerbread man, and snowflake designs cut-out in the center. You can use colored pencil, but maker give the ornaments a more solid color. To get a shimmering effect, use a dry paintbrush to go over the marker with a small amount of metallic acrylic paint. 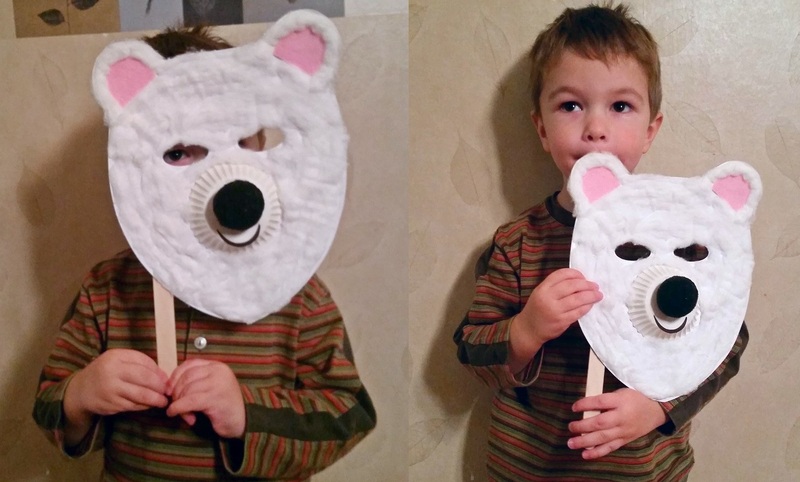 Add glitter foam, felt, or tissue paper to the back to make the shapes in the center stand out even more! Each ornament has a hang tab so you can add raffia or ribbon and hang it on the tree, or use as a gift tag! If you hang it in the window, the tissue paper will create a nice effect in the sun. 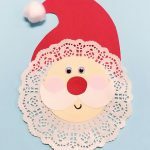 This is a great Christmas craft for teens! Use doll pins to create holiday themed characters, like Santa, snowmen, and an angel. You can get creative with the supplies and details. The main materials you’ll need are acrylic paint, a fine tip marker, and felt. For the angel, we used a doily, yarn, wire, and paper. You can stand them up and display them using our wood doll pin stands! Use craft foam balls to make your favorite Christmas characters, like Rudolph, Santa, and an elf! Rudolph: Paint the foam ball with brown acrylic paint. You will need 2 coats. TIP: Press a pencil tip into the top of the foam ball to hold it in place while you paint. You will use this hole to later add the jute string. Put glue into the hole and push the string in. Use gold sparkle chenile stems for the antlers. Push them into the foam ball far enough so they stay in place. Glue wiggly eyes and a pom pom for the nose, then draw a smile. Santa & Elf: Paint the foam ball with tan or pink acrylic paint or watercolor. Cut sticky felt into strips and wrap them around the foam ball to make the hats. Add a pom pom or bell to the end with glue. For Santa, glue cotton balls for the eyebrows and beard. Add wiggly eyes and a mouth, and rosy cheeks if you want! Use rafia or string to hang them up. Paint wood blocks using acrylic red and green paint. Write “Merry Christmas” in black permanent marker, then outline the letters with silver glitter glue. Wrap one of the blocks in wrapping paper to look like a present! You can also get the blocks pre-painted for a shorter craft activity. This is a beautiful decoration for your fireplace! Paint three wood plaques red, then paint the letters on with white. Add a wooden snowflake (painted white) or a snowflake cutout to the middle plaque. String jute into each hole at the top, and hang it for the holiday. There are so many fun ways to decorate these plaques for Christmas, and you can even do a winter theme with blue and white paint with the letters for SNOW. We love these cute Christmas themed mason jars! Head over to the blog at Crazy Little Projects to learn how to make a snowman, reindeer, and santa belt. Then add your favorite holiday treats! You can also use these paper mache boxes to make fun characters too. Want even more Christmas crafts? Read our 5 Group Christmas Craft Activities blog. 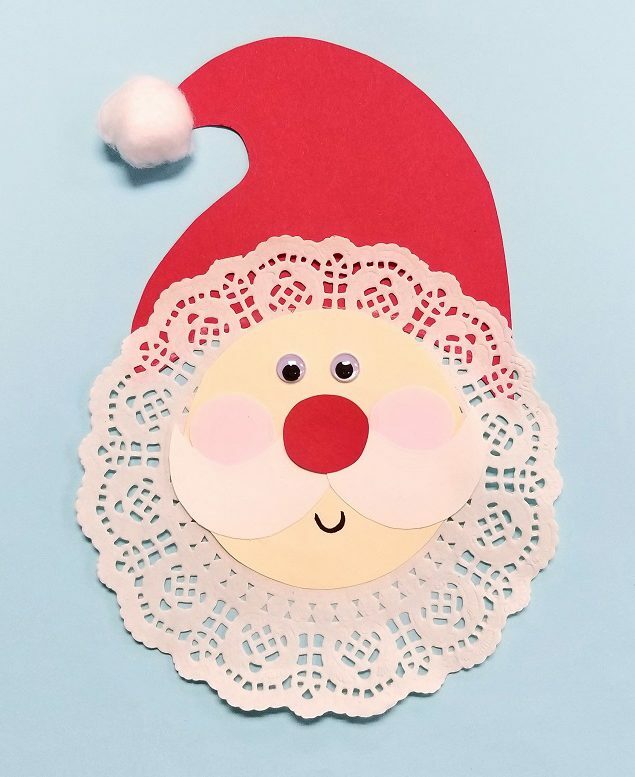 This entry was posted in Arts & Crafts, Holiday Crafts, Newsletter Christmas, Winter Crafts and tagged Christmas crafts, christmas tree, crafty kate, elf, holiday, ornaments, reindeer, rudolph, Santa, season, snowflake by S&S Worldwide. Bookmark the permalink.